We often describe our Advertising & Marketing coordinators as all-star “plate spinners.” They are amazing multi-taskers. The ideal candidates are forward thinking, self-motivated and detail-oriented. They have excellent customer service skills and are problem solvers. They have excellent written and interpersonal communication skills; are able to stay calm under pressure; and always work with a can-do, upbeat, get-the-job-done-on-time attitude. This job involves working as administrative support for our multimedia advertising sales executives. Our coordinators interact directly with customers and our graphic design team. They schedule advertising campaigns; disseminate marketing materials and sales collateral digitally to customers and prospects; set up and attend marketing events, exhibitions and sponsor-related events as needed; and help coordinate sponsorships and partnerships. Ideal candidates have excellent computer skills, including how to build spreadsheets and an understanding of social media platforms. We offer a competitive compensation plan, including full benefits, dynamic, fast-paced work environment; and the opportunity to grow professionally. We have an immediate opening for marketing coordinator in Winter Garden-Windermere. “One of the attractions that drew me to join Observer Media Group’s multimedia sales team was opportunity. “I feel like an entrepreneur, because I control my own destiny. I get a lot of great support from the leadership team to help me grow, but it’s up to me to determine how successful I want to be. “I am in charge of building my own business, of creating relationships with my customers and taking care of them, helping them grow their business and building a relationship of trust. Beth’s comments are typical of our multimedia sales executives. If that sounds appealing to you, we’re looking for more energetic, entrepreneurial achievers who are outgoing and money-motivated. … This is the place for an exciting and rewarding sales and marketing career! We offer competitive compensation with the opportunity for six-figure earnings, full benefits and a culture that encourages innovation and entrepreneurism. With Observer Media Group, you find a company that offers rewarding work that makes a difference in the community. It’s a place where the company’s leaders value all their associates and are committed to helping them grow and succeed — professionally, personally and financially. It’s a place where everyone strives for excellence. We have immediate openings in Sarasota, Winter Garden-Windermere, Winter Park, Palm Coast, Port Orange and Jacksonville. 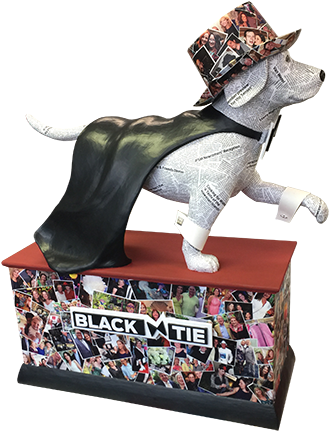 Our graphic designers not only win Addys for their advertising designs, but they also are award-winning designers of special dog couture. The #1 trait of our graphic designers is creative flair. But they also understand the principles of effective advertising design — being able to work with our advertising sales team to conceptualize and execute print and digital ads that generate response and create memorable brands for our customers. Our designers must have a thorough grasp and flair for style and proportion; and how type, fonts and color work with images. In addition to advertising design, our designers also create brochures, media kits, posters, letterhead; business cards; and all varieties of digital ads — animated, videos, interstitial, etc. Ideal candidates have a positive attitude; are able to work in a collaborative, team environment; and must be able to meet deadlines and work under deadline pressure. Ideal candidates have thorough knowledge of Adobe InDesign, Photoshop, Illustrator and Acrobat. We currently have openings for a graphic designer in the Sarasota and Winter Garden locations.